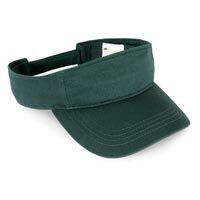 We offer a broad range of Cotton Sun Visors, which encompasses of Visor Caps in various colors, designs, shapes, and sizes. 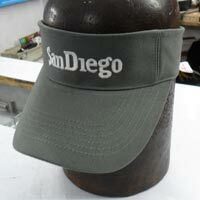 We also offer promotional visor caps and customized visor caps, which are highly demanded by a large number of corporate companies. 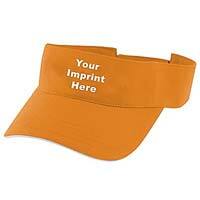 We are known as one of the genuine Cotton Sun Visor Manufacturers in India as well. Our Cotton Sun Visor is made from excellent quality Cotton Fabric. Its peak has a beading of yellow matching color, size 7cm, embroidery/ printing that can be done on request of the client. 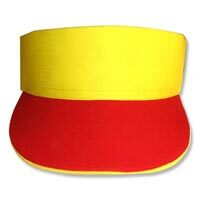 Its velcro back closure is easy to adjust as per the desired size of the cap. Our Cotton Sun Visor is made from excellent quality Cotton Fabric. Its peak has 4 stitches matching color, size 7cm, embroidery/ printing that can be done on request of the client. Its velcro back closure is easy to adjust as per the desired size of the cap. 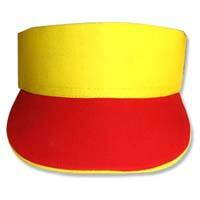 It is also provided with the Sweatb and matching cap colors. Our Cotton Sun Visor is made from excellent quality Cotton Fabric. Its peak has a beading of black color and embroidery/ printing that can be done on request of the client. Its velcro back closure is easy to adjust as per the desired size of the cap.